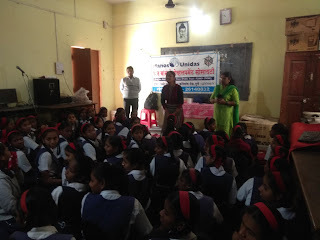 Koregaon Park (Pune), 22-January-2019: The Don Bosco Development Society, Koregaon park Pune organized an adolescent girl health awareness program at Sajanabai Bhandari School at Tadiwala road slum in Pune. 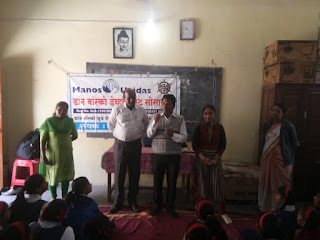 79 adolescent girls participated in this programme which was organized under the aegis of ‘women empowerment project’ supported by Manos Unidas, Spain. 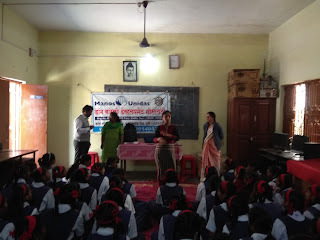 Ms. Nilima Chandhare (Trainer-DBDS) was the resource person. In her session she described physical and emotional changes, mood changes, hormonal changes and its effect on behavior. 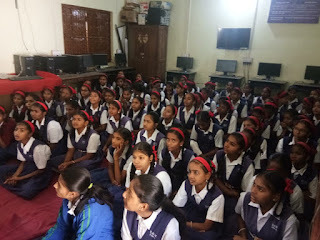 She also informed girls about how to react to such changes. 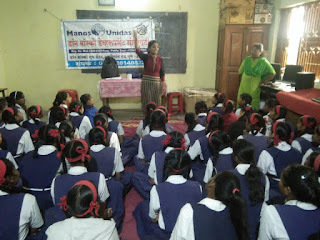 She also enabled teenagers to face and accept the changes during adolescence period specially characteristics during menstrual period. In the next session the trainer focused on nutrition and health. 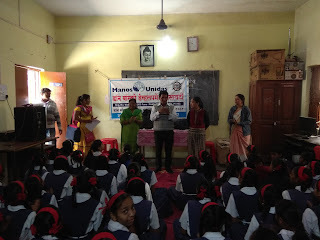 The social and food habit, related causes for malnutrition were discussed with participants. 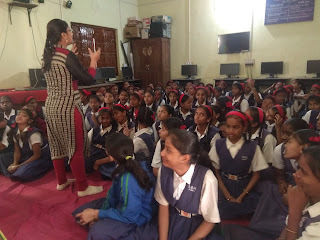 She also covered topic on nutritional food like fruits, beans, and vegetable to increase blood and exercise to remain healthy. In the question answer session, the resource person answered all the questions of the participants. Program ended with vote of thank by Mrs Leena Gaikwad (Staff-DBDS).